Or ... 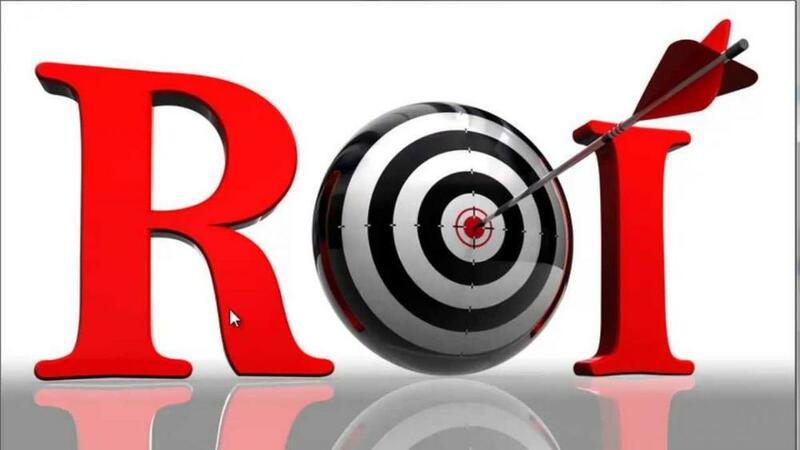 Maximize Inquiry Conversions to HQLs (Highly Qualified Leads) i.e Optimize the budget to maximize ROI. Let’s examine why what costs less might actually cost more. Note: The variables and circumstances in your case may differ. However, in my own experience a B type agency has never bested ETI (a best of breed company) on ROI. Interested in evaluating your lead qualification program? Or plugging your variables into this model? We’ll be more than happy to give you a fair analysis of how working with a Best of Breed company like ETI will impact your bottom line. Please call 1.800.466.4ETI and we’ll be happy to provide an analysis of your existing program. Closing the loop with Sales Reps is one of the biggest challenges facing companies engaged in sales lead generation programs. To assist ETI clients win more new customers and higher initial orders ETI launched (with a limited number of clients) our unique “Giveback for Feedback” test program last June. With the clients’ cooperation to this end we extended an offer to each salesperson that in return for feedback on the leads assigned to them, ETI would make a contribution to their favorite selected charities. I’m happy to report that success became evident in the first 6 months. The amount of feedback showing the back-end results was phenomenal and as - a result because of the great participation of the sales forces involved - ETI has already contributed over $2,000 to the nominated charities! In most cases the feedback confirmed the quality of the leads being handed over, and in others the feedback highlighted some areas of possible improvement (which enabled ETI to immediately take pro-active action). Furthermore, the process has enabled us to build closer relationships with all the stakeholders involved. I wanted to share with ALL of you in regards to the charitable contributions made by ETI based on your joint efforts in 2nd half of 2014. The gesture by ETI to offer donations to multiple charities is a testament to the quality of the group we have been working with for the past several months and no doubt has a special impact this time of year. … Special thanks to those from the ETI Team!! Our target for 2015 is to generate a minimum of $10,000 for the charities as we roll and expand the program to all our clients. If you would like to know how your company can benefit sooner from our “ Giveback for Feedback” program, please call 1-800-466-4384 and select option 1. Shortly after my last blog post (“Content may be king; relationships are personal”), I came across the September 19 issue of BtoB Magazine. I noticed some interesting graphics on the Opinion Page that provided poll results for some recent Webcasts. I actually found these data fascinating. If you’re seeing them for the very first time, you might well share my interest. In the first chart we discover that more than a third of those who responded to the August Webcast survey were regularly employing marketing automation technology, and that an additional 20% were in an early deployment phase. So more than half of those folks are using marketing automation techniques, and the balance are considering deployment. It’s hard to know the degree of overlap between the attendees of the August Webcast and those who attended the one in September, but I think it’s safe to assume that the audience was not all that dissimilar. And, if the overlap was significant, then the results of the survey to the September Webcast are quite disconcerting. That survey asked respondents to assess their level of sophistication in data cleansing. The clear takeaway from their responses is that three quarters of them have real concerns about the integrity of their data and that fewer than 4% are highly confident that their data are sufficiently clean and up to date. The follow up question, related to the same webcast, drives that point home with a sledgehammer. Nearly three in five respondents feel they are either merely tossing stuff on the wall and hoping it sticks, or have significant doubts that they really know the audience to whom they are marketing. I fully realize that the Webcast was designed to drive home exactly that point, and to encourage people to focus their efforts on data cleansing. Nevertheless, I find that result astonishing. Why in the world would a company use marketing automation tools to send streams of automated messages to people about whom they know virtually nothing? How do you think the recipients feel about the companies who are, at best, sending them material in which they likely have no interest and, at worst, are spamming them? In my view, this is not a ringing endorsement for the use of marketing automation. I am a firm believer in the notion that every time I touch a customer or prospective customer, I need to bring positive value for them to that encounter. I can’t see how I could do that without first knowing something about them, can you? I was interviewed last week by Will Crist of the SLMA for their weekly Radio podcast. During the interview we discussed the impact of Marketing Automation on complex B2B Lead Generation efforts as well as other solutions that ETI provides. Ultimately the primary point made is that in the area of Complex B2B sales lead generation and qualification, the requirement to engage in a consultative dialogue in order to understand the pain, needs and challenges of prospects is an essential part of the Demand Generation equation. I'm 3rd up ... about 20 minutes into the session. In Part 1 of my three-part “BANT rant,” I expressed doubts about BANT being sufficient as the determinant of qualified sales opportunities. First and foremost, BANT takes a seller-centric perspective that doesn’t consider the ways in which buyers think, at least not with respect to purchases that are not commodities. Second, I suggested that while the BANT elements might be necessary for a buying decision, by themselves they are not sufficient to ensure that a purchase decision will ever be made, or if that purchase decision will be favorable to you. In the second part, I reviewed each of the BANT elements, exploring in sequence why I felt that the BANT model is overly simplistic and fails to consider the buyer’s perspective. I argued that requiring a Budget, for example, was less relevant than having adequate Resources (to acquire your solution), and might even work against you if that budget was determined without your input. Then, I suggested that Need was also seller-oriented; the buyer is focused more on having a reason to act…now if the problems are imperative. We have a multitude of needs that often remain unfulfilled for lack of impetus. And, depending on how vital it is to obtain an adequate solution, the resources will flow accordingly. Finally, I argued that decisions (perhaps for anything other than commodities) are virtually never made by a single individual, especially in the enterprise. Is there a compelling reason to do something? Are the stakeholders who would feel the impact included in decision-making? Is there a solution out there that can resolve the problem using the resources available? And, are there substantial consequences for failure to act timely? Perhaps the very best place to start is by taking a hard look at the sales process and analyzing the critical stages. First, a statement that may seem, on the surface to be overly simplistic, but when you consider it carefully, you may find yourself in full agreement. The biggest impediment to closing a sale is inertia. And, overcoming inertia is the primary challenge. Look at some of the language of selling: “value is more important than cost,” “it’s vital to provide clear ROI,” “establish mutual perception of need,” “where’s the pain?” and so on. These are all perfectly legitimate perspectives, and I have made similar statements like that many times in coaching sales people. But, the fact is, you can definitively establish value and pain and need and ROI and yet the prospective buyer simply doesn’t buy. They continue the status quo with all of its inherent costs and pain (all of which they have openly acknowledged). I can’t help believing that the reason for inaction is that the perceived cost of changing the way in which they currently operate – financially, emotionally (more likely) or both – exceeds the cost of maintaining the status quo, even to the point where status quo leads to the failure of the company. It may not be rational, but it is quite human. So, if inertia is the critical factor that a sales person needs to overcome in order to successfully conclude a sale, then it is vital for them to have an understanding of the prospect company’s orientation to change. Wouldn’t it be important for them to know if a company is risk averse or, alternatively, is an early adopter, or somewhere else along the continuum? And wouldn’t that be a valuable element to capture and rate relative to the qualifying characteristics? This acronym represents a more practical and accurate method for defining a qualified sales opportunity and it is equally applicable to both seller and buyer. First, it’s important to uncover a compelling reason for a company to take an action to meet a need or resolve a challenge. Next, the consequences of inaction need to be sufficient to warrant a search for a solution. Is there consensus for taking action among all the key constituents (stakeholders) who are feeling the impact of the need/challenge as well as those responsible for resolving it? Then, a solution needs to available and the capacity to obtain the resources needed for a solution needs to exist (remember, if it’s important enough, the resources can be found, regardless of budgetary considerations). And, last and most important, how amenable is the organization to effecting change? You are walking down the street on your way to an important meeting. It is lunchtime and you are hungry, you have the resources and sufficient time to eat. There are a multitude of restaurants and street vendors, including some of your favorites. Although you are hungry, eating is not your highest priority. While considering your options, these and other questions will arise until you make a decision. And, of course, making no decision is equally a decision. In complex businesses, making no decision is what happens all too frequently – because the cost of doing something has ripple effects throughout the organization. Inertia – maintaining the status quo (sometimes even in the face of all rationality such as unquestionable ROI) – is too often the easiest course of action. How would this decision-making process be represented in the I CARE model? Environment conducive to change: it boils down to inertia, doesn’t it? How can a proprietor get you to stop and eat? What can they do to raise the threshold high enough to overcome inertia? You experience the answer all the time in those situations, don’t you? Some vendors and restaurants pump out tantalizing smells of their luscious offerings and tease you with them. Others do something with their display; maybe they toss the pizza in the front window, or display the desserts or even offer you a complimentary taste in front of their establishment. Maybe they offer free Wi-Fi that enables you to easily and quickly check your messages. All of those actions and offerings are designed to entice you to into their establishment and overcome inertia. When they hit the right hot buttons for you, you’re sold. But even having decided where you may eat, unless all the other factors are aligned you still may not physically go in (inertia). It’s only at the point that you decide to CHANGE the course you’re on right now that the sale may actually get consummated. To conclude what we’ve been exploring over the past few weeks, BANT has been a useful and important early model for focusing the qualification process. But it needs some rethinking because it fails to consider the prospective buyer’s viewpoint and is inadequate in identifying the elements that are the key determinants for concluding a sale. When a seller has a clear understanding of how a prospective buyer makes their decisions, and solid insight into how the prospect views the issues and their proclivity to change the way in which they behave, they have more chance of success. This more closely aligns their goals with those of the prospect and provides them with far better insight as to the hot buttons that will serve to overcome inertia (which is, after all, the heart of the sales challenge). And isn’t the purpose of defining a qualified lead all about providing sales people with opportunities that offer them a better chance of closing more sales in less time? Success in that endeavor is the basis for enhancing sales productivity, maximizing ROI and increasing sales revenue. BANT, however time tested, does not necessarily increase the chance of sales success. I CARE does it better. In Part 1 of our three-part “BANT rant,” I began by raising some doubts about the efficacy of the BANT approach being the defining factor in determining a qualified sales opportunity. I offered two main reasons why I felt that BANT wasn’t sufficient as a definition. First and foremost, BANT offers a seller-centric perspective. Budget, Authority, Need and Timing are not the ways in which buyers think, at least not with respect to purchases that are not commodities. They think about business challenges, resources, relationships and the potential (and actual) consequences of action and inaction. And organizational politics come into play, as tends to happen all too frequently with real people in real life, even when there is alignment within an organization as to goals and objectives. Second, I suggested that while the BANT elements might be necessary for a buying decision, by themselves they are not sufficient to ensure that a decision will ever be made to purchase, or if that purchase decisions will be favorable to you. B (Budget) Plainly, if a prospect already has a defined budget, then you are probably too late to the party. They may have already been in discussion with one or more of your competitors, and that’s how they came up with that budget.. Or they may have established a budget based upon some other basis (research), but it is not likely to be the budget you would preferably craft for them, nor does it consider the value of your solution (remember, it’s rarely about price and generally about value). It’s akin to the RFP dilemma. If a company has issued an RFP, and you were not involved in setting those standards, then it was established based upon a vision that did not include your solution. And, unless your solution matches the requirements to a tee, you may not want to get involved. RFP’s, for the most part, create commoditized procurement decisions, not value-based decisions. If you are not selling a commodity, and if you don’t want a decision made essentially on the basis of price, then you need an opportunity to demonstrate your value. The bottom line is that it may be preferable for them not to have a budget (just as you’d prefer them not to have an RFP). Yet you do want them to have the resources needed to fund a solution to the needs they have and the challenges they are facing, preferably at a level that makes your solution affordable. Ideally, however, you want to help them craft both a solution and a budget and you should want to be there before that process is initiated. So, the very best time to get involved is before they have a budget and before they have envisioned a solution. Given all of that, is Budget truly a qualifying criterion? Now we’re left with ANT or, if we substitute Resources for Budget, we have RANT. A (Authority) Most people assume that this means that you have identified or (preferably) are engaged with the decision-maker. This is way too simplistic for the real world. The problem is that, in virtually every situation imaginable (especially in a complex B2B setting), there is no single decision-maker. Decisions are never made by a single person and, perhaps, never even by a single department. The truth is that most enterprises have matrix relationships in which anyone, at virtually any level, can raise their hands and put the brakes on a decision or a shift in direction. Even in small “mom and pop” businesses, decisions are rarely made by a single person, even the owner. In almost every situation, there are trusted advisors, spouses, key staff and even business colleagues outside of the company who can influence a buying decision significantly. What is vital is to gain an understanding of how decisions in areas related to your solution are made within organizations. You need to know who is typically involved in that process and gain an understanding of the relationships (from both a personal and business perspective) among the key people involved. Finally, you also want to understand another critical element: the company’s orientation to change. Is this a company that takes risks, or are they risk averse? Are they somewhere in the middle? Their orientation toward change will tell you a great deal more than you can imagine about the strategies you should employ to move them toward adopting your solution. N (Need) Of all of the BANT elements, this is the most seller-centric of all. I can’t begin to count all the times that a sales representative has come to me and said, “It’s a slam dunk … they NEED our solution.” In the story I related at the end of the first segment about walking down the street at lunchtime on the way to a meeting, the need for food is clear. We need it to live and we need it to satisfy and resolve pangs of hunger. But, do we need it NOW? It may be lunchtime, but there are competing needs and demands that have greater urgency at present and render that need less vital. So, it’s not about need, it’s about some compelling event or reason that raises the urgency of that need to an “act now” level. Absent that level of motivation, there is no credible impetus for change and no substantive reason for the resources to be expended, even if the money is available and someone is willing to spend it. T (Time frame) This is also a seller-centric view. What is really meant here is, “is this opportunity going to come to fruition in the near-term so it becomes worthwhile for me, as a salesperson, to spend my time on it?” And, the truth is, in and of itself, it is meaningless. Time is only important in the context of all of the other elements. Do we have a compelling event? Is everyone who is feeling the impact of this event involved in the decision making process? Is there a solution out there that can resolve our problem using the resources we have available? And, what is the consequence to us (as a company) if we fail to act timely? Those are the more important determinants of the relative value of a potential sales opportunity. In the third and last segment of this discussion, we’ll focus in on putting this all together into a practical framework. And then, perhaps, we can begin to consider an answer to the question I raised at the end of my walk in the city at lunchtime story: what can a proprietor do to get you to eat at his or her establishment? Recently I posted an article on the ETI website entitled “Leads don't sell. Only sales people do” that focuses on how important sales people are to the lead generation process. This got me thinking about Lead Scoring. Many service agencies as well as CRM systems offer the ability to score leads. The thinking here is that if a lead gets a higher score then the sales person should have an easier time closing the sale. Mostly however, regardless of the method used, the majority of the leads will fall into a broad band in the middle. So how effective is lead scoring? In our experience – very little. First if the score is provided to sales persons then what happens next becomes virtually obvious. If the score is high they will pursue the opportunity with vigor. If it is low they will hardly bother to make the call. If however, it is in the middle then we are faced with the regular sales behaviors as discussed in the “Leads don't sell. Only sales people do” article. So is lead scoring worth it? In our experience rarely. It’s just another gimmick that focuses on process rather than on real sales force productivity. We have not, in the 20 years we have been in the Lead Generation / Lead Qualification business, found Lead Scoring to be a practical or an effective sales management tool. So what works? Without divulging some secrets, ETI has a far more effective “Bubble Up” Technology as well as comprehensive Lead Rating systems which has a far greater impact on the positive outcomes of lead generation and lead qualification projects. If you are interested in this aspect please call 1-800-466-4384 (option 1) We’ll be happy to elaborate.